Our first trip to Hokkaido was 8 years ago. This year, we decide to revisit Hokkaido again. This time we decide to go for a road trip instead of following the tour. Well, million thanks to the advancement of technology. Travelling is a lot easier, affordable and fun now. Prior to the trip, we were still pretty worried about the typhoon. Thankfully, it didn’t come while we were there. Although it rains pretty often in Hokkaido, it didn't dampen our mood. We started our trip from Hakodate and went to the east of Hokkaido. One of the highlights of the trip is definitely to watch the autumn foliage changes as we drive from the north to east. It was really very beautiful! We spent 10 days on a round trip self-drive in Hokkaido. As we have visited some of the attraction in Hokkaido, we decided to skip some of them this trip. Thus, if this is your first time to Hokkaido, you may want to include an additional day or cover less area compared to ours. Hope this helps! Hakodate, northernmost island of Japan, is one of the most popular cities in Hokkaido. 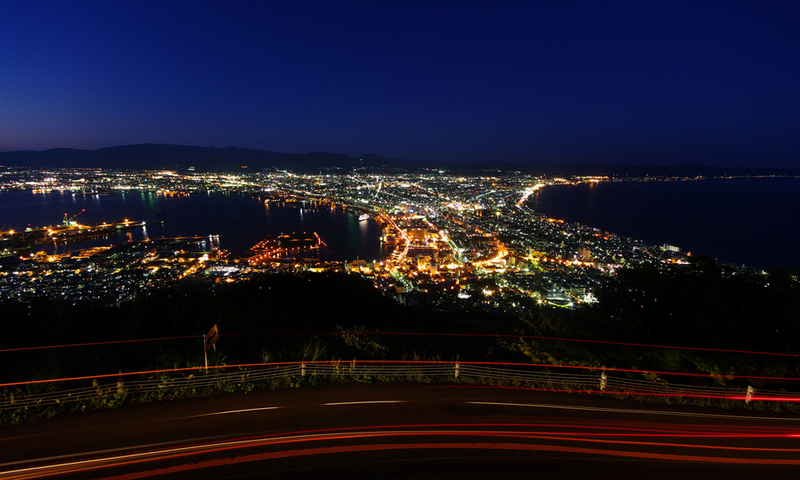 Located next to the coast, Hakodate is famous for its seafood as well as a beautiful night view at Mount Hokadate. Driving on the steep streets in Hakodate is a pretty fun experience. With the fusion of western-Japanese style of buildings, makes the city even more unique on its own. 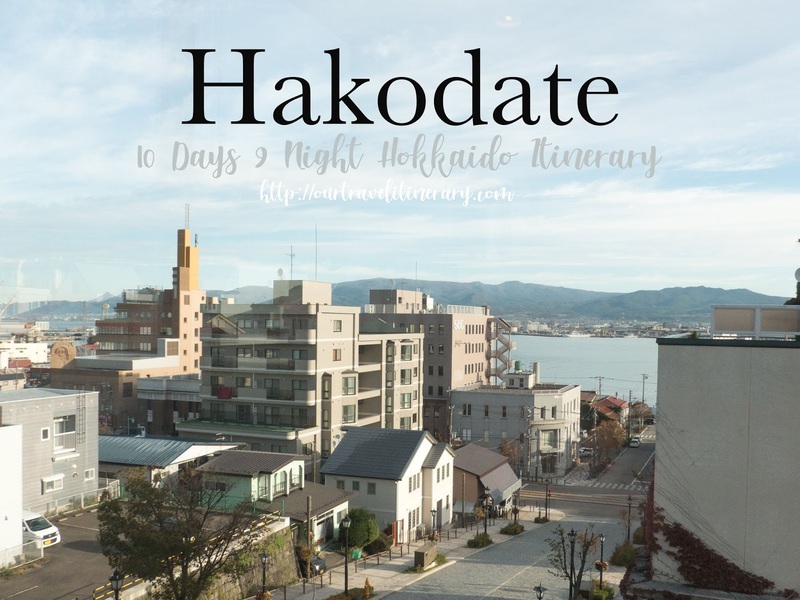 We arrived in Hakodate in the evening and found ourselves in a quiet town. Our initial plan is to visit Sushidokoro Kihara for dinner. Sadly, it was fully booked. Thankfully, we found a restaurant that is operating near the train station after 8pm. We went in and found that the restaurant is pretty big and crowded. The restaurant offers a wide variety of Japanese food in the menu. Although not fascinated by the food, we are glad to find the end that the price is reasonable. Feeling tired after the long flight, we decide to skip the night viewing session at Mt Hakodate. Plus, we had visited Mt Hakodate previously. 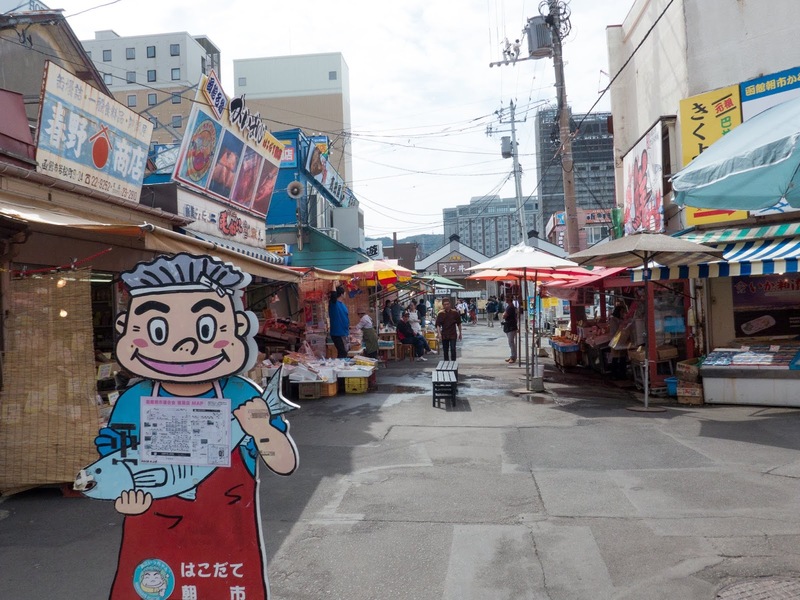 The next morning we woke up early and visited Hakodate Morning Market also know as Hakodate Asaichi. 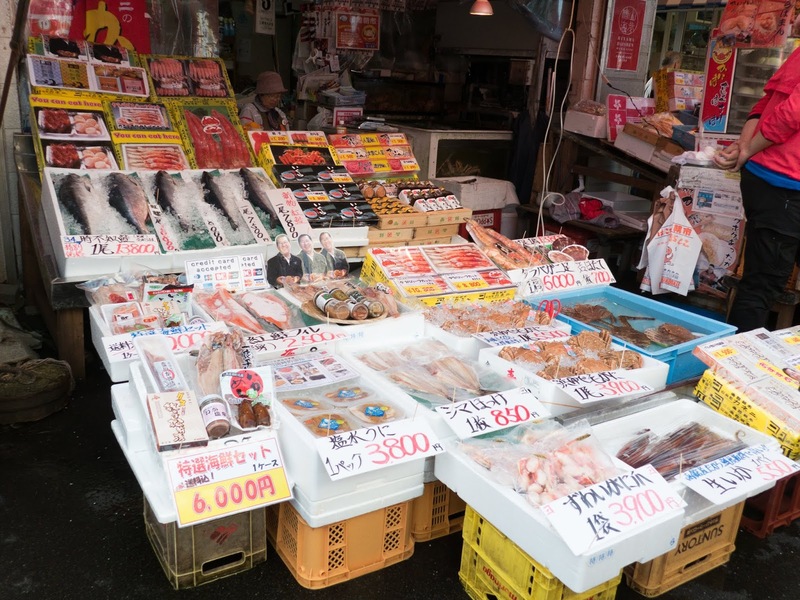 There are many shops selling fresh seafood, vegetables as well as dairy product. Some may be over price, so be sure to check out for the best bargain. Before our shopping spree in the market, we visited Ikura Tei for breakfast. Honestly, it's the best ikura we ever had! I am not a fan of Ikura but i was surprised to find the ikura fresh and without the fishy taste there! If you want to get your sashimi fixed, i think it is best to have it there instead of having it at the market. Other than sashimi, the restaurants offer hot food such as grilled cod fish and crab soup! My parents love it! We spent the most time in this market because there are lots of things you can buy. Even though the fruits here are not the cheapest, they are sweet and juicy! Mom bought 2 Melon for 7500 yen - Size XL. Not cheap but when we brought back home, the melon was really sweet and juicy! Tip: Check with the seller when is the best time to consume the melon. Luckily we did and he told us that we can only consume the melon 10 days later. Wait patiently and you will be rewarded! If you do not want to wait, just go to any store and buy the ready-cut melon. Note: If you plan to buy the melon back home, be sure to pack and wrap them properly. Melon has to be check-in to your luggage. When we were flying back home, the staff advise us to check in instead of hand-carry them. Some officer will tell you that it is considered as liquid for international departure and you have to throw it. We were shocked to hear that. Thankfully, the staff at ANA business class check-in counter was really helpful and had helped us to pack the melon with the on-hand resources they have. We happened to pass by this shop and after we bought the stuff from there, we realised that other shops selling the same items were 20% less. Lesson learnt: Never assume a shop that is crowded has the best price! After shopping at the morning market, we visited Kanemori Red Brick Warehouse. The architecture is unique and there is a waterfront next to it. The perfect place to take a walk. Plus, there are many shops selling souvenirs in the warehouse. Other than coming for a walk, our main objectives is to try the famous fast food restaurant in Hakodate - Lucky Pierrot. This Circus Theme fast food restaurant is very popular in Hakodate. You can’t find this at other parts of Hokkaido! Luckily, they sell the instant pack curry sauce for tourist like us who don’t get enough of the sauce. We bought lots of it and a gift to our friends back home. We ordered the chicken burger set (650 Yen) to try. It comes with a fried chicken burger, fries and ice tea. 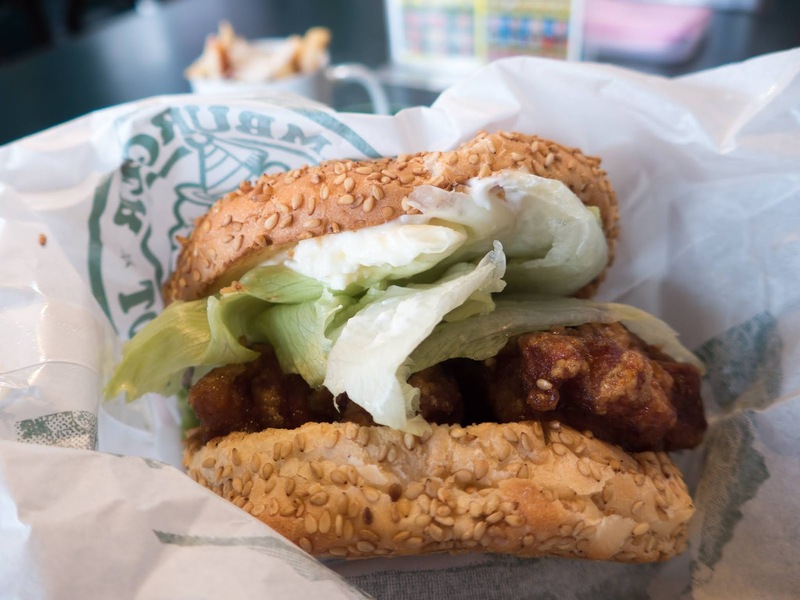 The bun is soft and serves with tender fried chicken! The fries is the most popular item in the shop. It is served with mash potato and curry sauce, making it mushy and delicious to eat! We are not surprised that their fries taste this good because the potato in Hokkaido is really delicious on its own. Their second most popular item is the green soda water which i find it mediocre and taste like f&n fruitade but a lot less sweet. 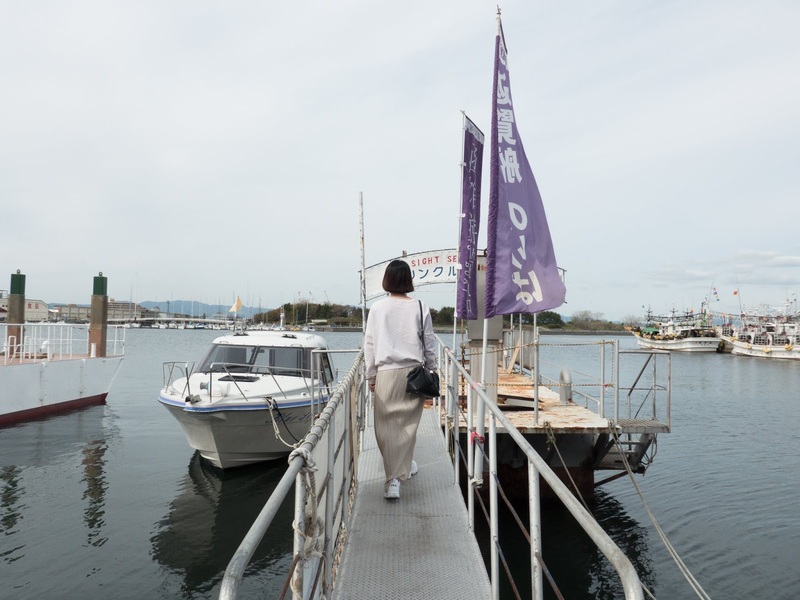 We visited the one at Lucky Pierrot Marina Suehiro Shop was pleasant to find it with lots of seats. Free seating and you can even choose one with the harbour view! We set off to our next stop - Onuma Quasi-National Park. 40 minutes drive from Hakodate, we arrived at Onuma Quasi-National Park. The national park is well known for its picturesque lake and view of the Volcano (Mount Komagatake). The explore the national park by foot and choose the easy route that took us 45 minutes to complete. Other than walking course, you can rent a bicycle or even canoe to explore the area. Afterwards, we set off to the next destination Lake Toya and check into the accommodation of the night - Granvillage Toya Daiwa Ryokan Annex. If you have more time in Hakodate, you can visit Old Fort Goryokaku and Mount Hakodate at night. We visited these places previously so we decided to skip it unless with have spare time. 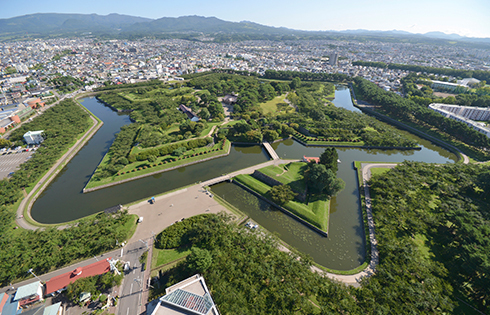 The Goryokaku is a historic site that was completed 150 years ago. From there, you can see the entire star-shaped estate and surrounding moat. During spring, it is one of the popular places to view 1600 cherry trees. 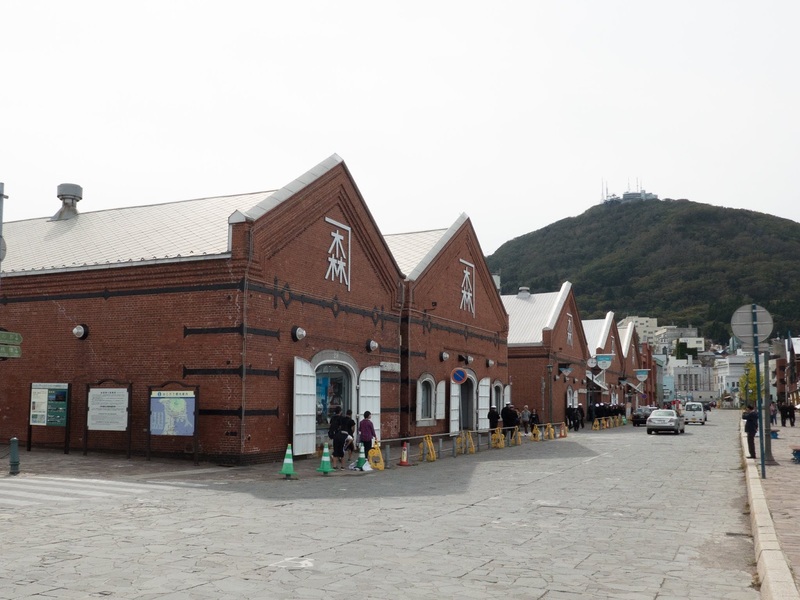 If you want to have a good view of the city, take a cable car up to Mount Hakodate. The view from Mt Hakodate is highly acclaimed! Even with a three-star rating in the Michelin Green Guide Japan”. The best time to visit is during sunset. However, be there early because the queue can be quite long. If sunset or queuing up isn’t your thing, you can always visit there during the day.